Meteorological Technology World Expo 2018 is the must-attend event for any company or organization in the meteorological sector. 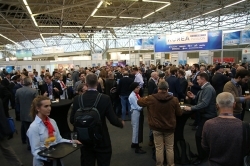 Taking place in Amsterdam, Netherlands, on October 9-11, this truly global exhibition is expected to attract more than 200 exhibitors and 4,000+ attendees from more than 100 countries. This year’s event will host the World Meteorological Organization’s (WMO) prestigious CIMO TECO-2018 conference, which will be followed by CIMO-17 from October 12-16. The WMO had an outstanding response to its call for papers for the conference, with more than 220 high-quality abstracts submitted from all WMO regions. The final version of the CIMO TECO-2018 program is now available online (https://www.wmocimo.net/business-switcher-states/) and includes the scheduling of presentations on four key topics: the characterization and standardization of environmental measurements – traceability assurance; emerging measurement technologies: from development to operation; ensuring sustainability of measurements; and measurement and integration challenges in the next 20 years. Key highlights from the program include a presentation on a new WMO guide for the measurement of Cryospheric variables by Craig D Smith, Environment and Climate Change Canada; a comparison of electrostatic, radio and human observation techniques for thunderstorm warning by Dr Alec Bennett from Biral; and some ideas for sustaining observations in extreme conditions by Andrew Harper, National Institute of Water and Atmospheric Research (NIWA). On the exhibition floor, there will be more new product launches for next-generation forecasting technologies than ever before, including radiometers from Davos Instruments; solar spectral sensors from Spectrafy; sonic wind sensors from LCJ Capteurs; 3D-printed automatic weather stations by UCAR / COMET; hydrogen generators from Nel Hydrogen; the Modbus meteorological sensor suite from Lambrecht; infrasound sensors from Seismo Wave; scalable dataloggers from CAE, and much more. The event will also host three technology workshops on the expo floor, hosted by Leosphere, Metek and Stevens Water. Alongside the CIMO TECO conference, the International Forum of Users of Satellite Data Telecommunication Systems (Satcom Forum) will be holding its Satcom 2018 workshop on October 9-11, and the recently launched Global Weather Enterprise Conference will be holding a two-day session looking at better data sharing on October 11-12. MeteoSwiss and the WMO will also be hosting a special workshop on October 11 looking at how the OSCAR tool can benefit the entire industry. Among the latest exhibitors to join Meteorological Technology World Expo are Eppley Lab, USA; Naruida Technology, China; Metspec, UK; Testem, Germany; Minimax, Russia; Gemini Data Loggers/Tinytag, UK.